iOS devices are being used more and more creatively as the days go by. App controlled vehicles aren’t anything new but Silverlit have put together some impressive additions. 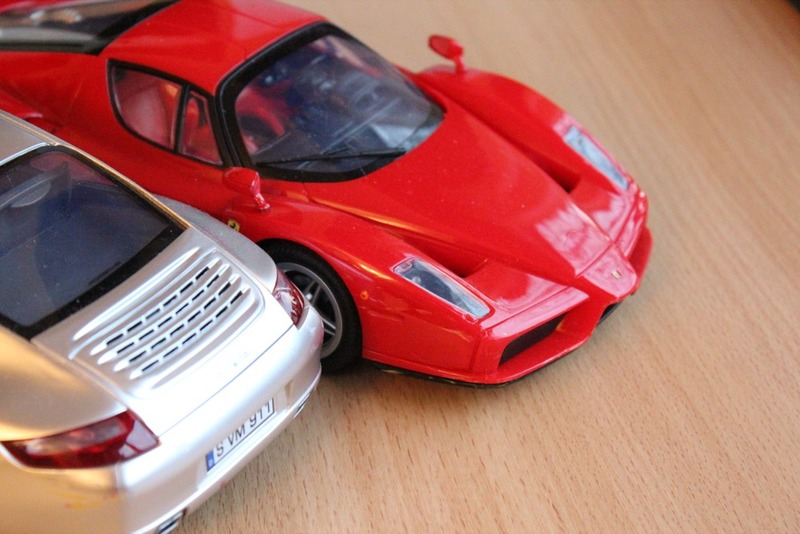 A choice of two cars in the Silverlit iControl series are available. 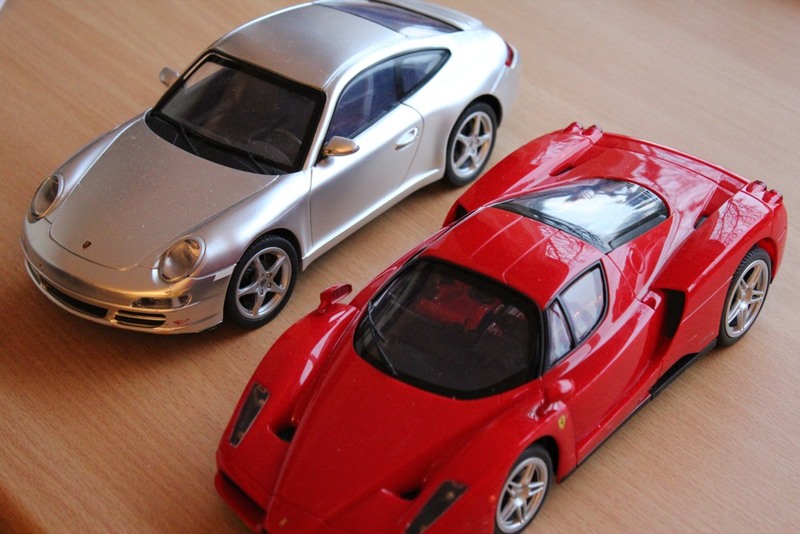 The Porsche 911 Carrera (my favourite) and the Ferrari Enzo. 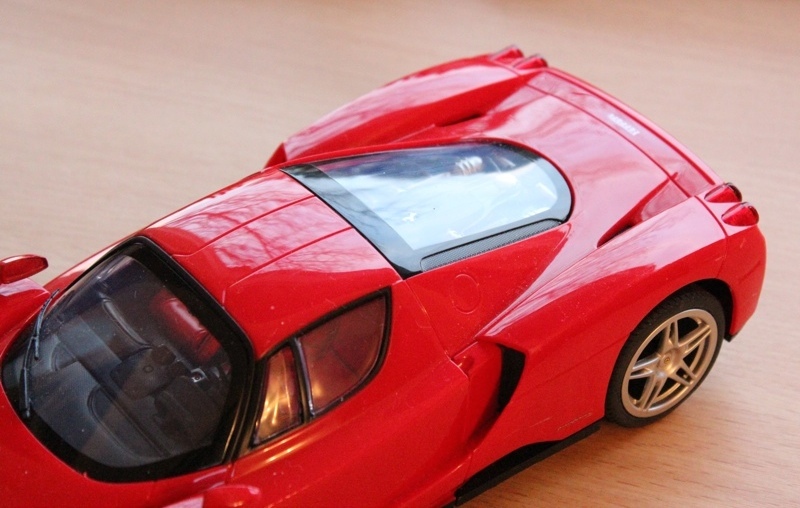 Both are scaled down at 1:16, with unmissable attention to detail in wheels, interior, headlights, etc. The first step to take to get the cars powered on, is of course to insert batteries. Each comes with four AA batteries, so their good to go, out of the box. The power consumption is top notch and I’m sure that will bring joy to many parents ears. After inserting the batteries, enable Bluetooth on your iPhone or iPod touch or iPad. Select, download the Silverlit App from the App Store for either the iPad or iPhone/ iPod touch and you’re all set. The Bluetooth connection is strong provides immediate communication with the car. Playing, ergh I mean testing both side by side, each controlled via different iOS devices, didn’t cause any interference. The range is around 7-8 meters, slightly missing the Silverlit claim of 10. The App has two different control schemes. Motion and joystick. Motion is greatly harder to master (easier on the iPad) but can be adjusted, however once the hang of it is acquired, it’s rather rewarding. The joystick based scheme, prompts virtual on screen joy sticks for acceleration and turning. This is almost instantly learnt and is more familiar with traditional RC toy controls, but the motion scheme is a greater novelty for children. The App also provides audio car effect simulation which is excruciating to listen to and should be disabled. Both cars are very fast, the motors aren't cheap. Acceleration can be built up almost instantly and cornering is also just as good. The Ferrari is the faster of the two but the Porsche is more agile in handling. What is very apparent from these cars, is that it doesn’t matter what age you are, they’re a blast to play with. Skidding around the kitchen floor, blasting into the living room, the performance allows for household floors such as carpets, wooden and tiled terrains which in turn stops children with shorter attention spans from growing tired of sluggish performance and having to manually move the car. The realism of each vehicle is taken one step further with built in headlights and hazard lights that are triggered by the App. They serve a genuine purpose in dimly lit environments but children will love these added additions in non practical use. Indicators are also apparent on the front and rear, they correspond whenever you turn left or right. Brake lights on the rear also trigger when you reduce speed. None of this seems to greatly effect battery life or performance. Both cars are very robust, the front and rear suspension plays a key role in this. We have put them both through hell, with top speed head on collisions into walls and chair legs. 180 degree spins off steps which has resulted in the cars landing top down and on their sides. The App is pretty aggressive at telling you off for these types of accidents but the cars haven’t taken any real beating. Any scuffs are easily rubbed off, revealing intact gleaming paint work. But the main thing is the cars still function perfectly. 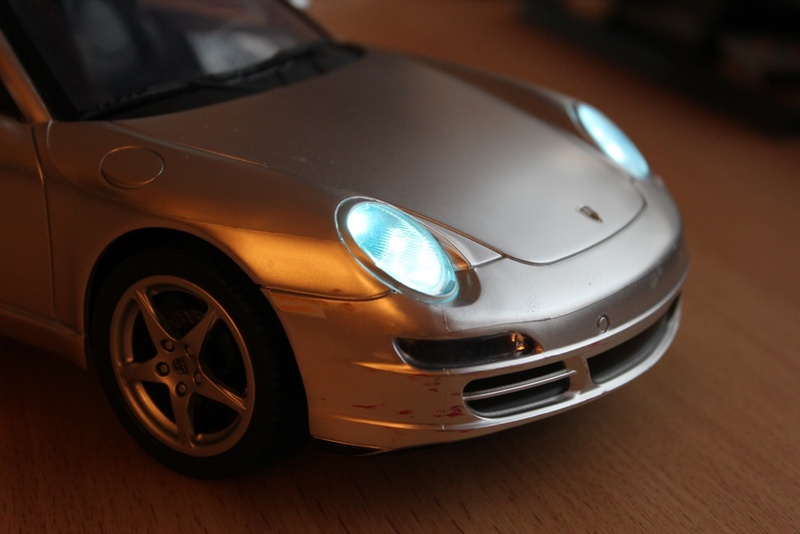 Overall we had a complete blast playing around with the Silverlit Interactive Bluetooth R/C Cars. Each retails for £79.99, that seems a little too steep, luckily if you search around online you’ll find them for around the £56 mark. Which seems like a fairer deal for the solid construction, attention to detail and zippy performance.